Fancy getting stuck into a good book? Then head on over to Tesco for this great offer. They have a selection of great paperbacks in their two for £7 deal. 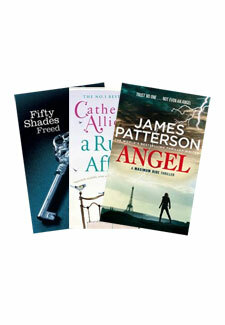 Titles in the offer include Fifty Shades Freed, The Decision by Penny Vicenzi and the latest James Patterson thriller. Head on over to Tesco online now and get reading.